Batman and the Turtles go on the offensive in the belief that they can take Bane down while he’s weakened, due to a lack of venom on the Turtles’ world. But that’s not true any more! 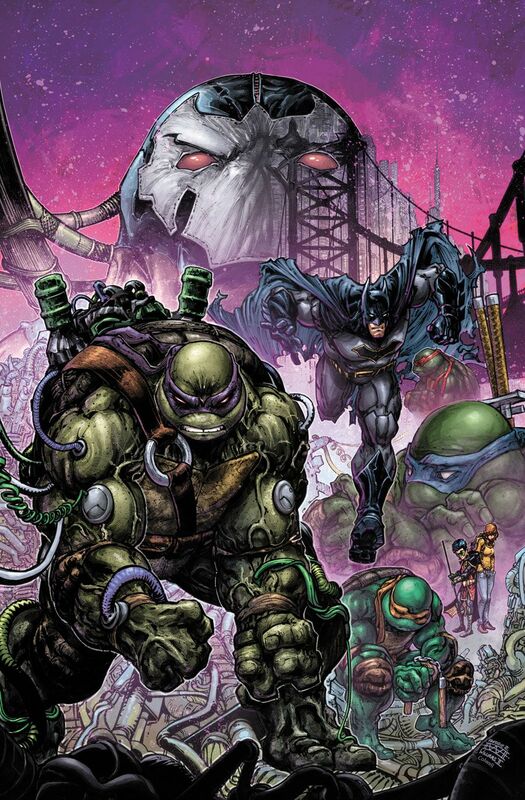 The Turtles’ foe Baxter Stockman has found a way to reproduce the deadly substance that feeds Bane—which means the Dark Knight and the Heroes in a Half-Shell are in for the fight of their lives. 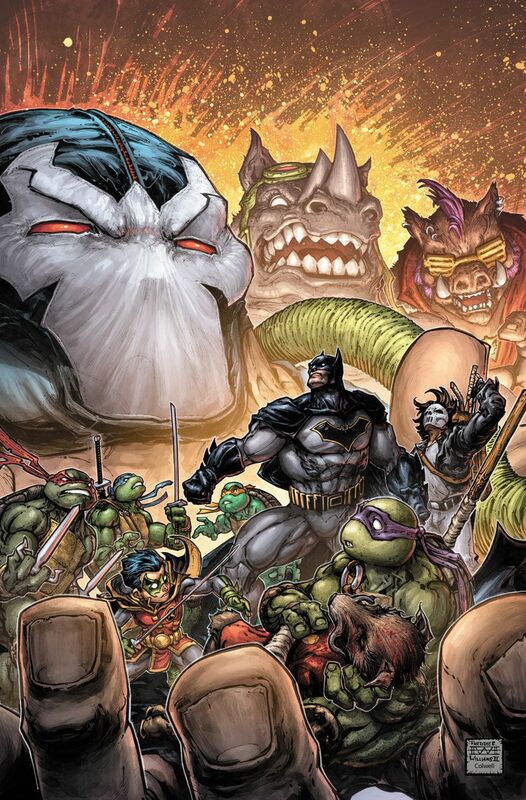 With Bane, Bebop, Rocksteady and the entire Foot Clan pumped up on venom, the odds are severely stacked against Batman and the Turtles. 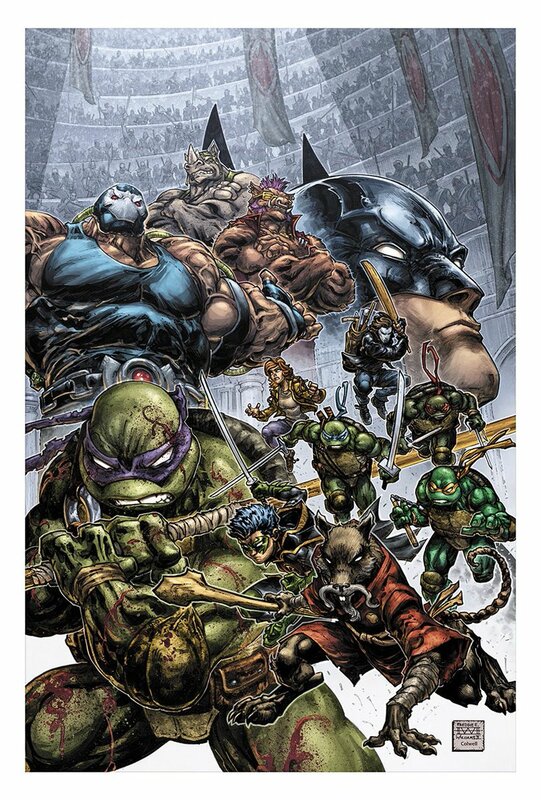 All looks lost until Master Splinter steps in—only to fall victim to the treacherous Bane! The Heroes in the Half-Shell live to fight another day, but at what cost? Donnie thinks he has a plan for victory, but Batman warns against it. Wow! Splinter dead (or at least mortally injured) and Donnie on venom?? What will they think of next!